Is set near to the kitchen and shower facilities and is in a beautiful sunny position with its front door and seating area facing the evening sunset. Being a large 21ft yurt it sleeps up to 6 people on a king size bed two 3ft futons and a day bed that can extend to be a double bed. You can look up at the amazing Mongolian ceiling with its traditional paintwork to the sunshine or stars. The yurt has its own log burner to keep you cosy on cooler evenings, outside on the deck there are table and chairs and a chiminea. Offers more seclusion being across a little stream there is a little bridge leading back to the kitchen cabin and shower faciities. 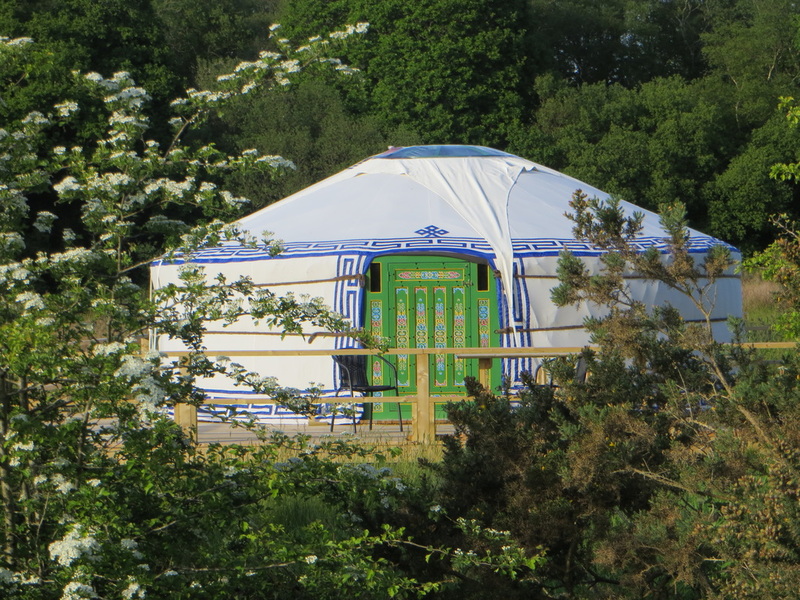 Owl yurt is a cosy 19ft yurt with a lower profile it will sleep up to six people on a double bed two 3ft futons and an extending daybed. Fully furnished with a log burner for those cooler evenings it also has table and chairs on its decking with a chimanea. The sun will shine through the back door in the morning and the front door in the evening enjoying late evening sunsets on the decking. 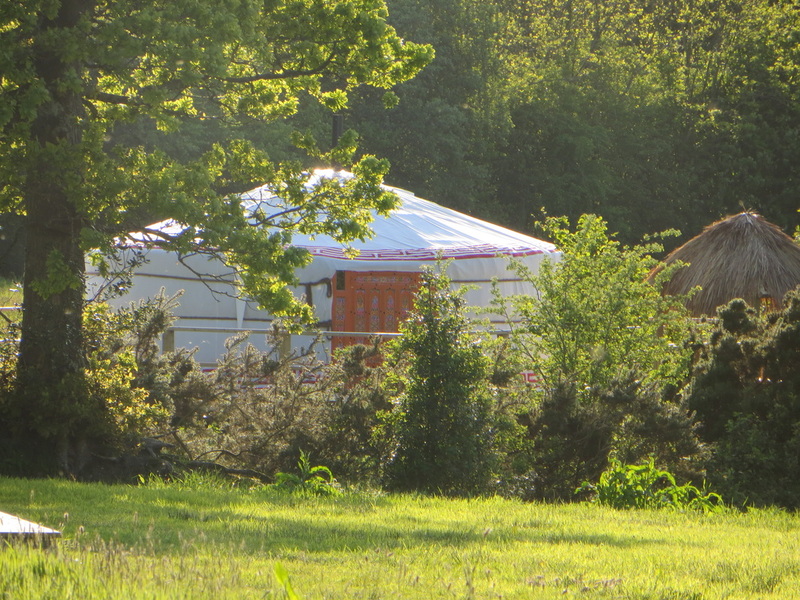 Both yurts now have solar powered lighting along with their fairy lights for magical evenings.